We are finally settling into the new house, just in time for everything to go topsy-turvy pretty soon. I’m having what I refer to as my “nose job” in 11 days. I know, I know, I can hear you already. “But, Sydney! You have the perfect nose! You have the nose every girl dreams about when she thinks of her fairy tale future! Tons of women take pictures of you when they go to have nose jobs!” Well, you can calm down. It’s okay. The outside of my nose shouldn’t change at all. It’s the inside that is getting a makeover! Ever since I was very tiny (Mum, care to chime in with specifics? ), I’ve had chronic sinusitis and difficulty breathing at even the best of times. Well, sometime last year (I’m being coy. I know exactly when. ), my nose stopped and never started again. Antibiotic after antibiotic (which I hate — almost as much as excessive parenthetical comments! ), nasal spray after nasal spray, nothing. Doctors, scans, doctors not calling back, unfruitful follow-ups, and finally! Someone decides that something needs to be done! So, in 11 days, I’ll be having three procedures inside my nose — 1) removing two bits of bone that are making passageways too narrow; 2) realigning my party wall, which meets the bottom of my nose in exactly the right place but bends in the middle; 3) cauterizing the lumpy lining of my nostrils that prevents anything from draining down the right paths. You see why I just say I’m having a nose job?! One of the most exciting things about my nose job is: If you think Sydney Likes Food now, just wait until she can actually taste it! Regardless, the house is coming together beautifully, if slowly. I’ve been cooking, but it’s been mainly old standbys that don’t take too long. We’re still acclimating to the schedule change; CB has never had a full time job! He did do his PhD, which was definitely more than a full time job, but it typically involved him hunching over a desk in his home office/spare room/chinchilla abode. This job requires him to be out of the house for more than 10 hours a day, and I have to figure out what to do with myself in the empty space. (If I’m honest, it’s mostly academic for me, now, too. I should be grading papers right now.) I did make one new meal that was delicious, but the texture needs a little tweaking, as does my understanding of the new ovens. I’m going to give it a shot again this week, so, if all goes well, I’ll photograph and properly document it here soon. Ah, yes, but the title of the post. 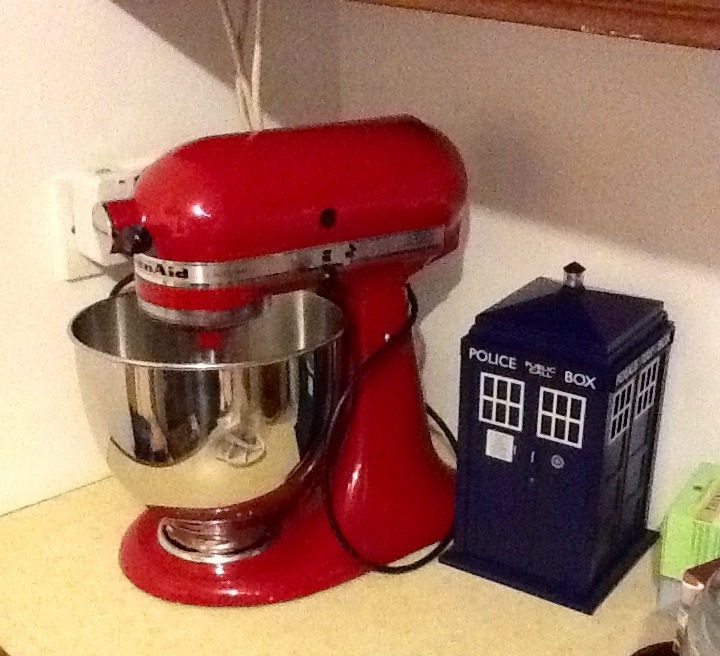 I have a new kitchen friend. I feel like I have known this friend forever because of how long I have wanted — nay, needed! — it amongst my tools. I will never let it go. We will make so many yummy things together. You just wait.